Trish Clowes: saxophone; Chris Montague: guitar; Ross Stanley: piano and Hammod organ; James Maddren: drums. 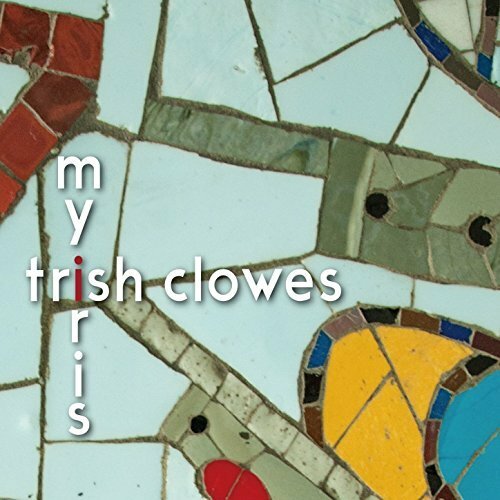 Following previous recordings with an improvising string quartet (and in the night time she is there, 2012) and concert orchestra (Pocket Compass, 2014), Trish Clowes now turns her considerable composing and improvising skills to the small group setting. While this is a somewhat unusual line-up, with the absence of bass, the players make a rich, full sound of great complexity. Clowes has a magisterial tone that immediately pulls attention to her when she plays, and a fascinating approach to phrasing that creates richly nuanced textures in each piece. Each piece seems to be a unique exploration of the possibilities of this combination of instruments and while there are implicit hints of other tunes (e.g., the five note run of Coltrane’s ‘Giant Steps’ in track one, ‘One Hour’, or the opening line of Cy Coleman and Carolyn Leigh’s standard ‘Witchcraft’ on track 2, ‘Blue Calm’), these serve more as landmarks for the listener before the pieces move off into new and exciting directions. A more explicit reference in a drum solo from Baby Dodds (track 6, Tap Dance (for Baby Dodds)’). Dodds’ trademark rimshots and ‘shimmy beat’ are picked up at the start of the piece and used to emulate a tap dancer’s steps. Dodds famously used his drum kit to not only keep the rhythm but also introduce fills, tones and expressive playing to sound like talking drums (as in his use of his foot to muffle a floor tom to produce different tones). The piece is a reply to ‘Muted Lines’ (track 5) which was composed by Anglo-Armenian composer Cevanne Horrocks-Hopayian. In this piece, words from a poem from Nahapet Kuchak are used as the basis for the quietly intoned reading over the start. The line is ‘Sing, although the exile’s heart fills with such unsingable songs’, and the reading gradually reduces the words to ‘sing songs’ – as a reflection of the ways in which exile can change memory but also create new meaning. The composition has a gentle, mournful repetition which contrasts with the exuberance of ‘Tap Dance’, but both pieces present reflections on exile and diaspora. In ‘Tap Dance’, the African inheritance of Dodds’ drumming is contrasted with guitar soloing that has a rich Americana sound, with Clowes building links between these two sounds. The whole set is hugely accomplished, highly enjoyable and a major contribution to the contemporary UK jazz scene. It shows how imaginative composition and mixing of sounds from a tightly knit group of superb musicians can find new forms of expression. I can imagine each track on this set becoming a Standard for other groups in years to come. This is certainly going to feature of critics choices of album of the year.